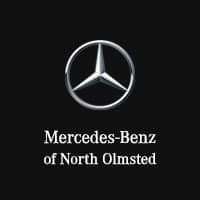 At Mercedes-Benz of North Olmsted you will find a big selection of the latest Mercedes-Benz models available. Whether you need an SUV like the GLC or a sedan like the C 300, you will be able to find it at our showroom near Westlake. Consider what your ultimate budget is: You can use our monthly payment calculator as a guideline to help your work out a monthly payment that works for you. Consider your lifestyle: Do you need a third row for a growing family? Are you looking for a sophisticated sedan to amp up your drive to the office? Prioritize the features you want: Mercedes-Benz delivers a comprehensive range of luxury features and finishes, but you always want to create a list of the top features you are looking for. If you have additional questions about picking the right Mercedes-Benz for you, the associates at Mercedes-Benz of North Olmsted are here to help. We offer our experience and enthusiasm for luxury vehicles to the Cleveland area to make sure you find a model you love. Contact us today!